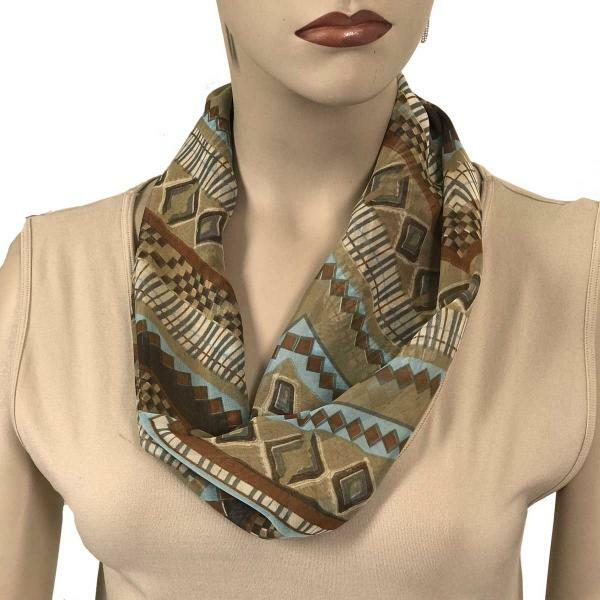 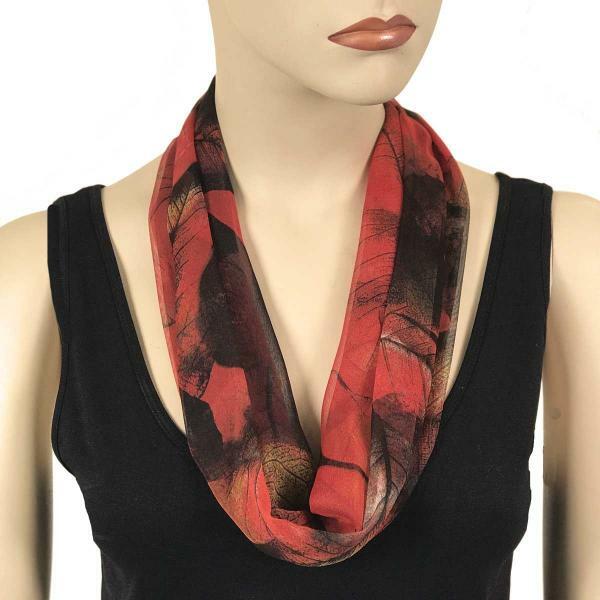 Sometimes an accent scarf is just the thing! 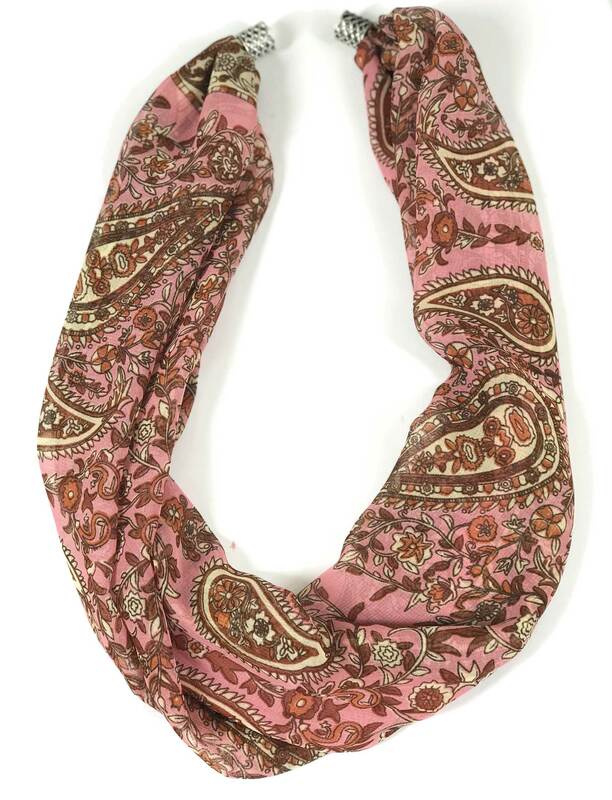 But do you sometimes find yourself checking in every mirror you pass to adjust the length and drape of your scarf? 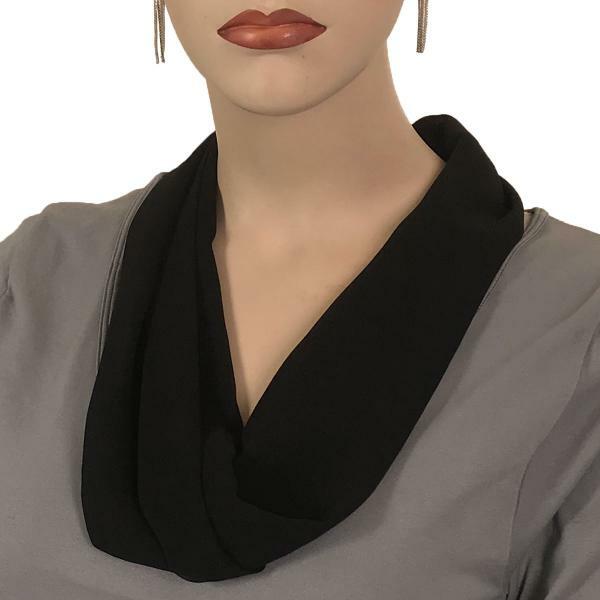 If you do, we have a solution. 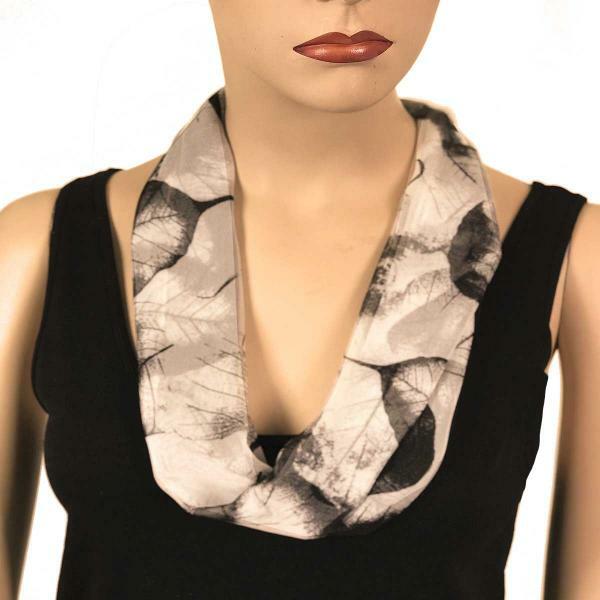 A necklace scarf makes accessorizing fool proof. 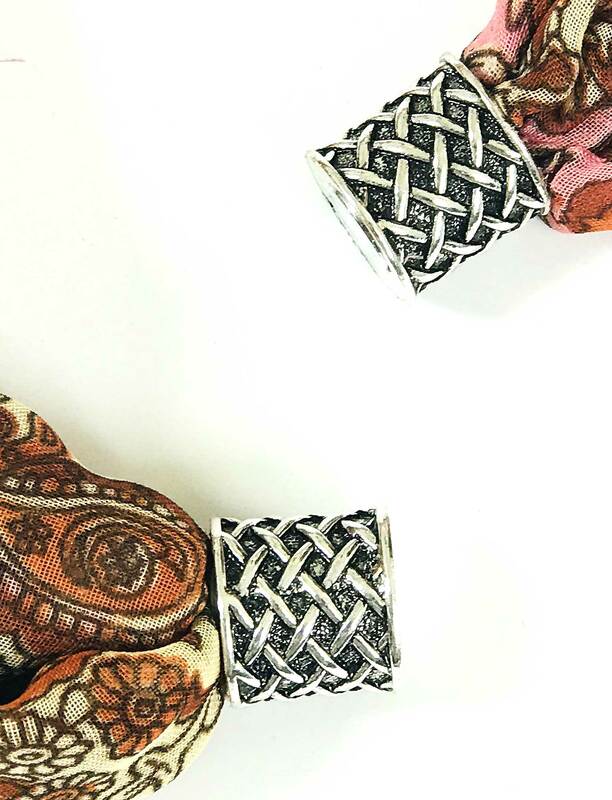 Our staff assembles these magnet scarf necklaces by hand in Gloucester, Massachusetts with meticulous attention to detail. 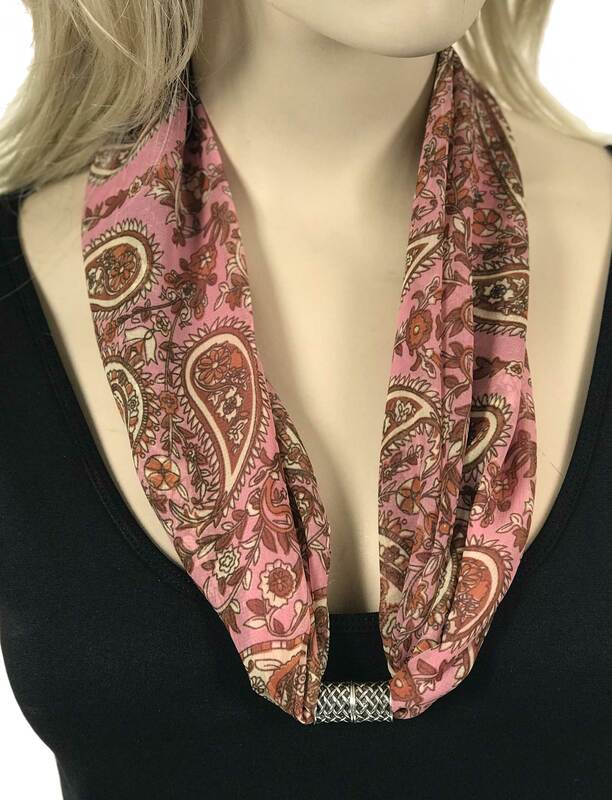 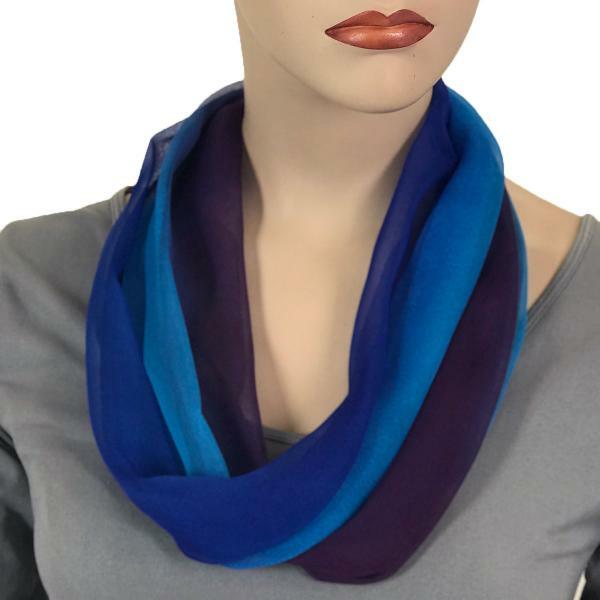 We utilize the best fabric to create a soft lovely drape and filigree nickel clasps with powerful ceramic magnets to make sure these scarves stay secure around the neck. 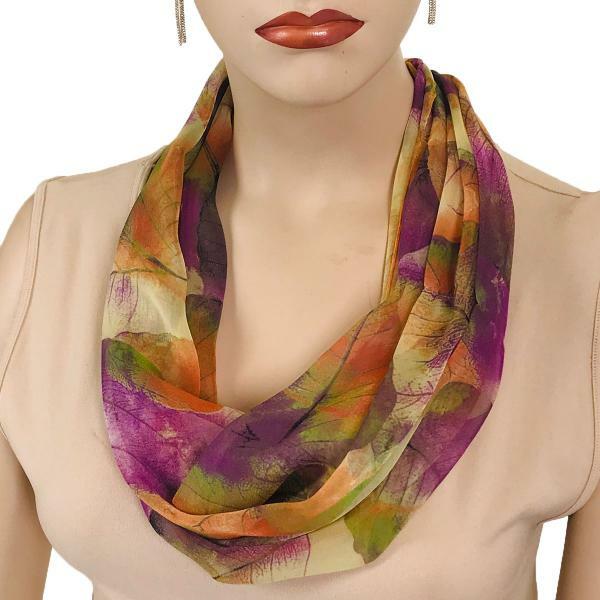 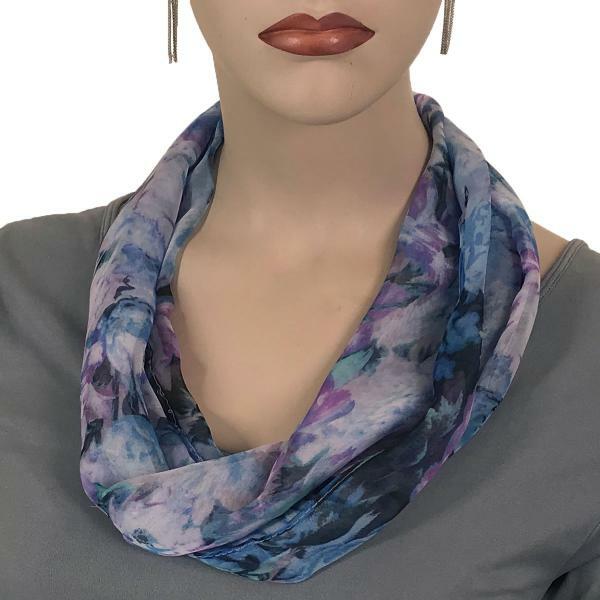 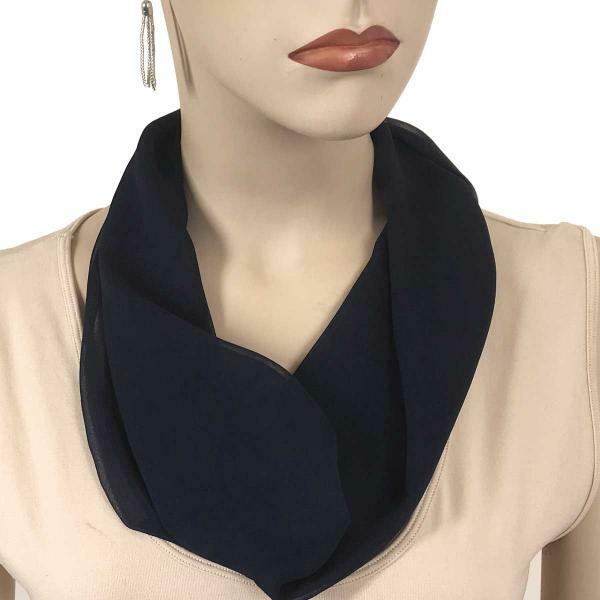 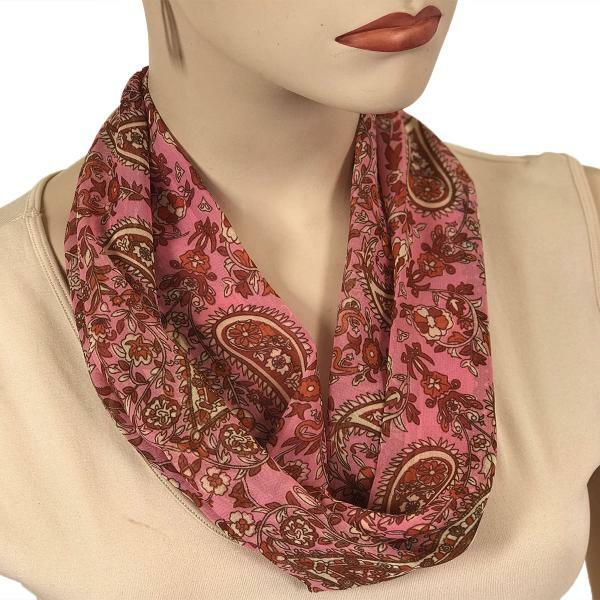 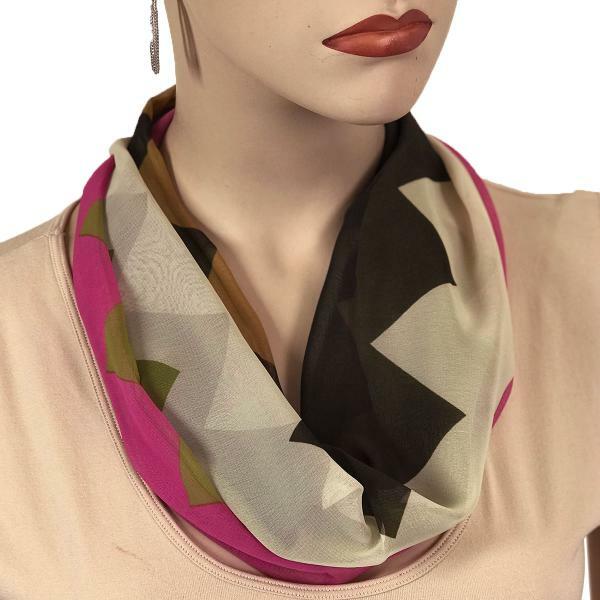 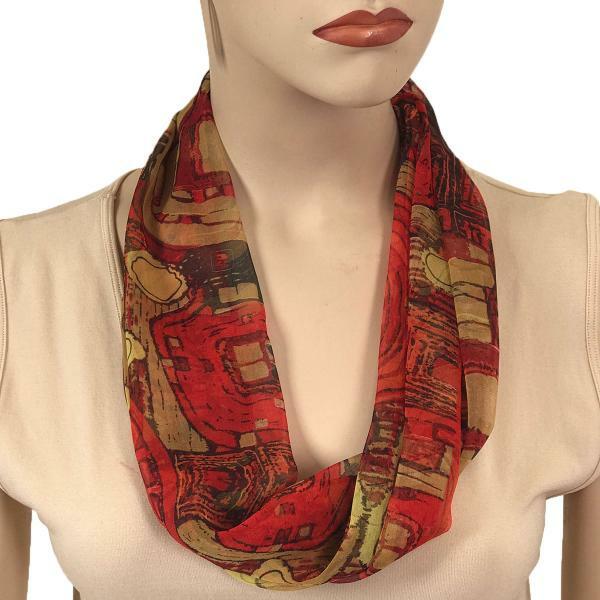 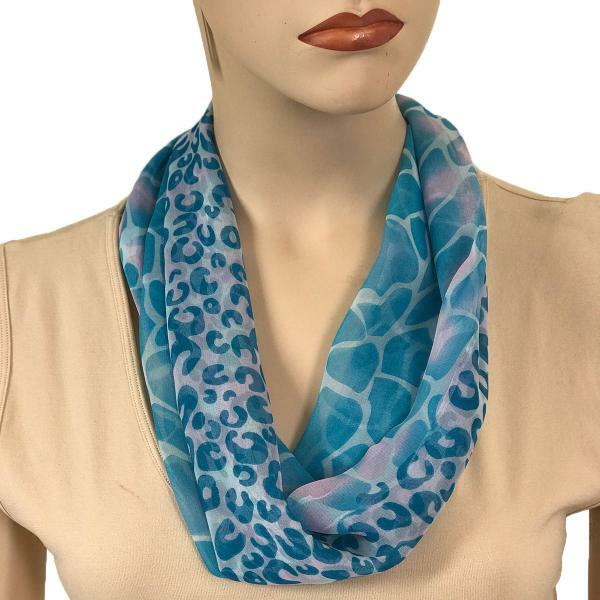 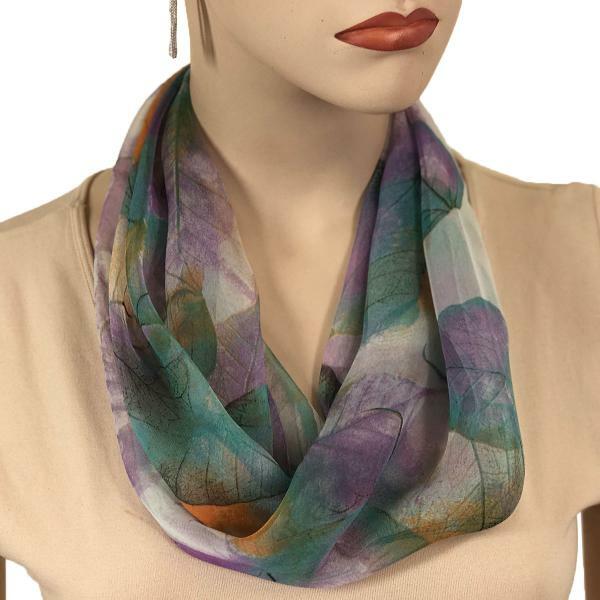 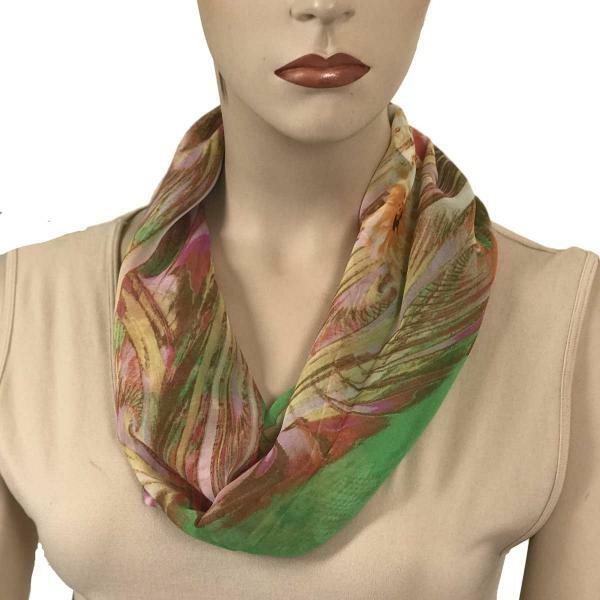 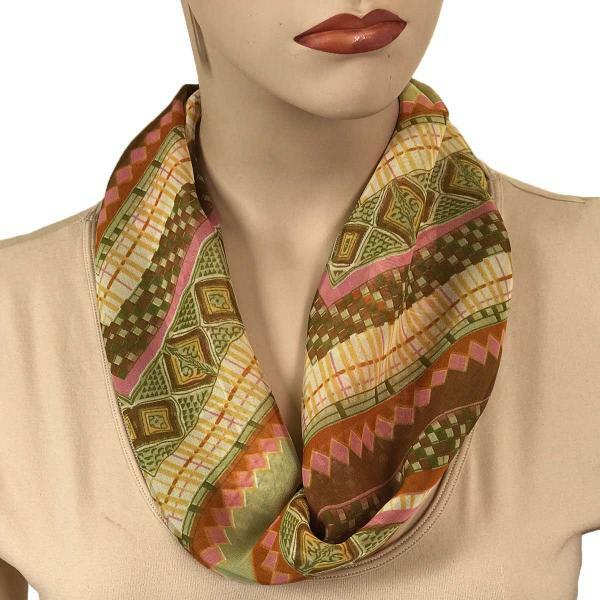 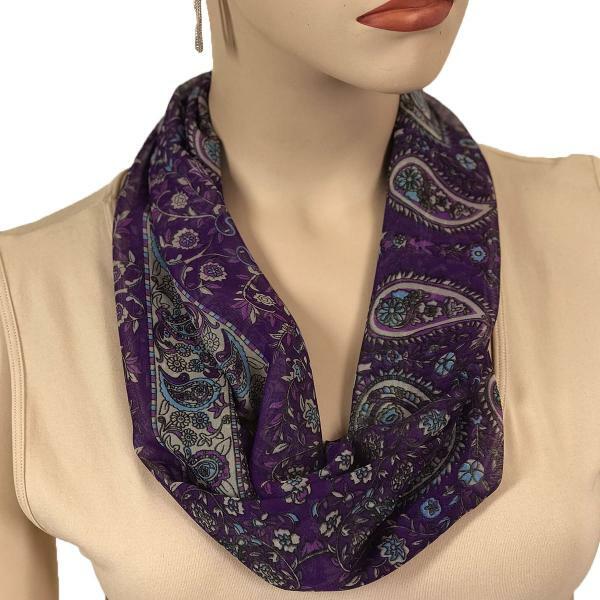 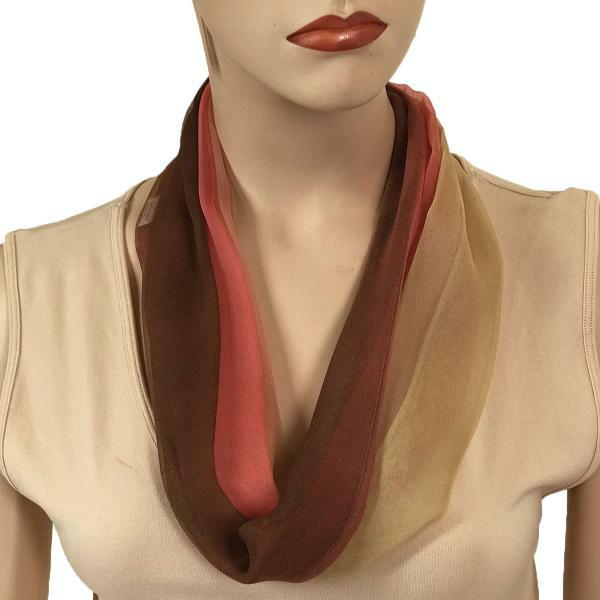 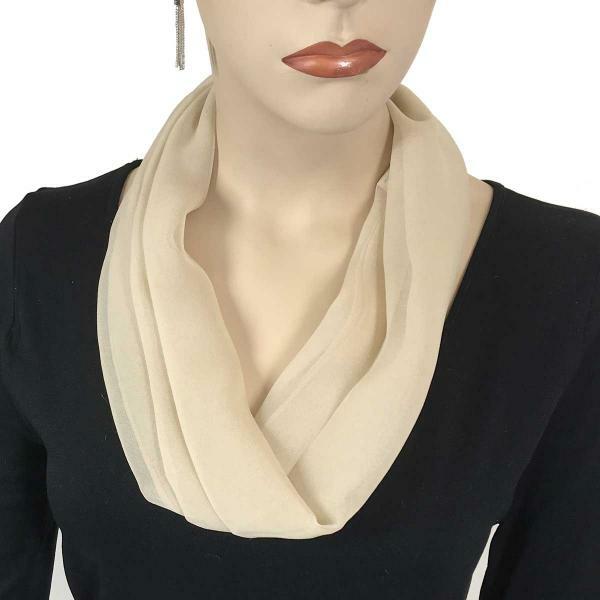 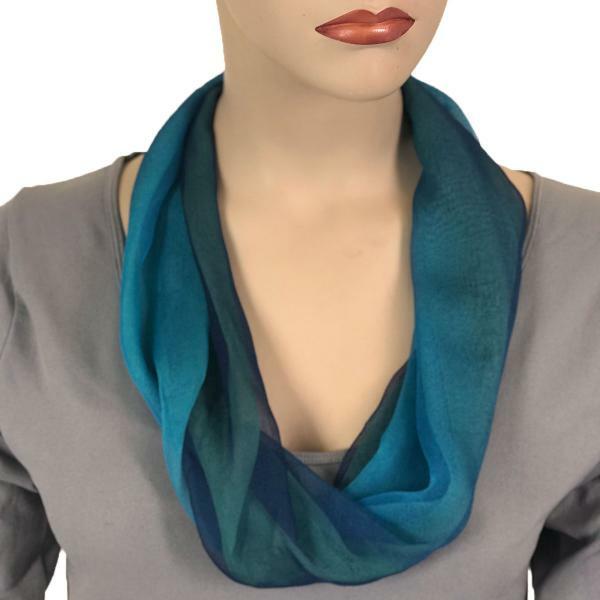 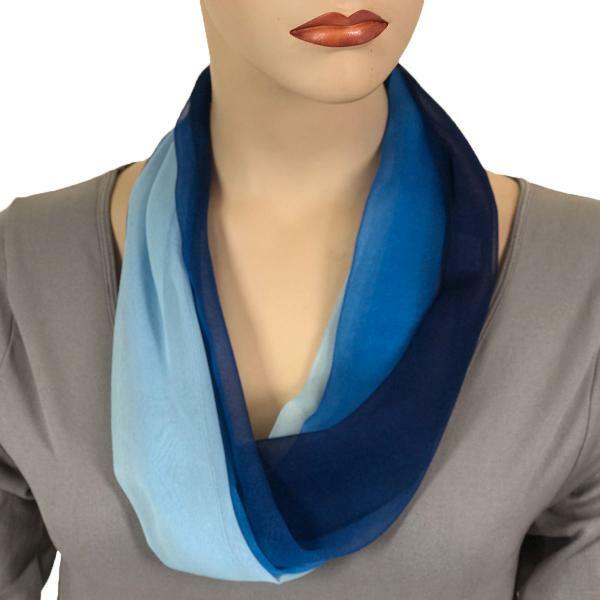 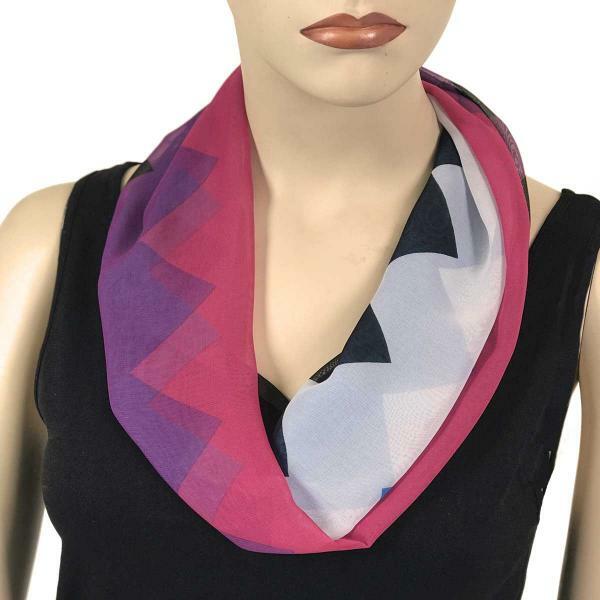 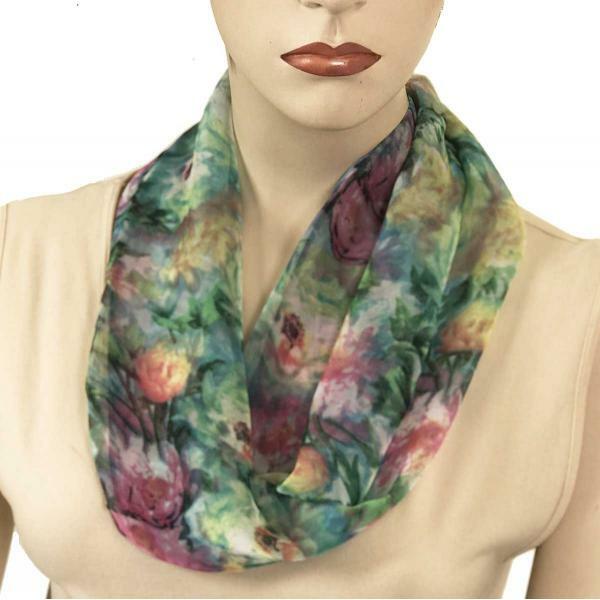 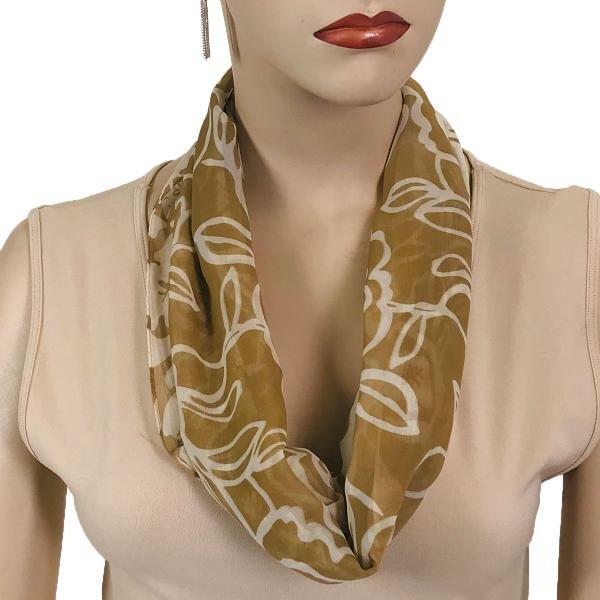 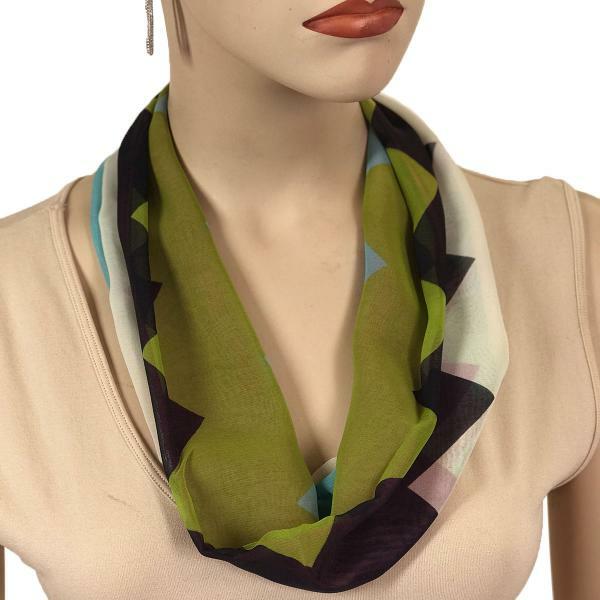 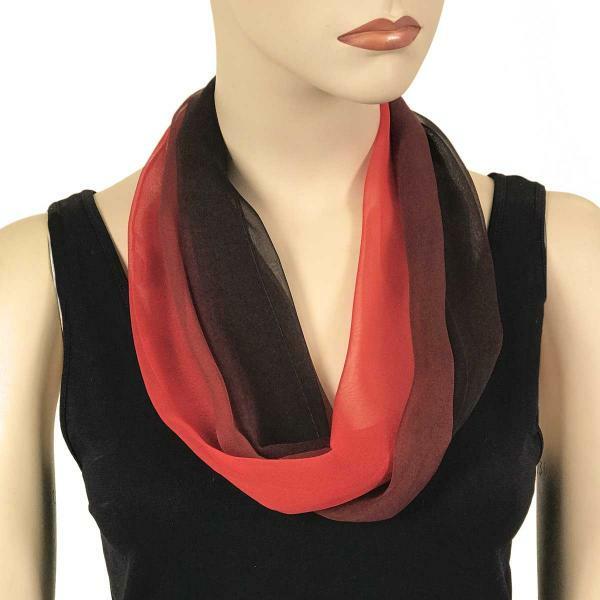 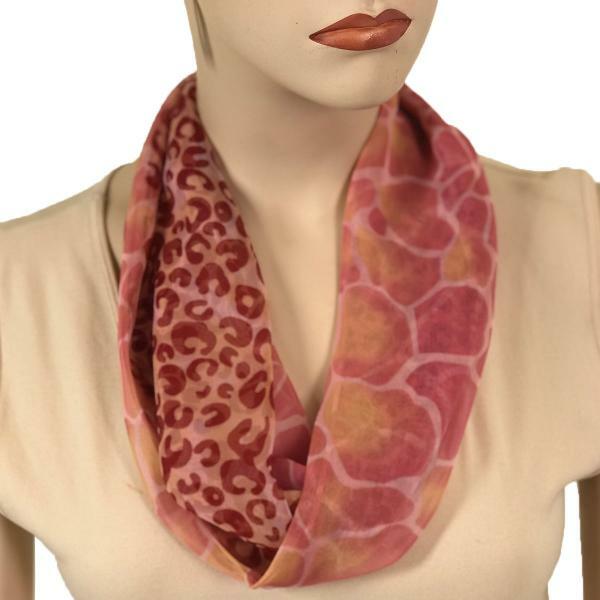 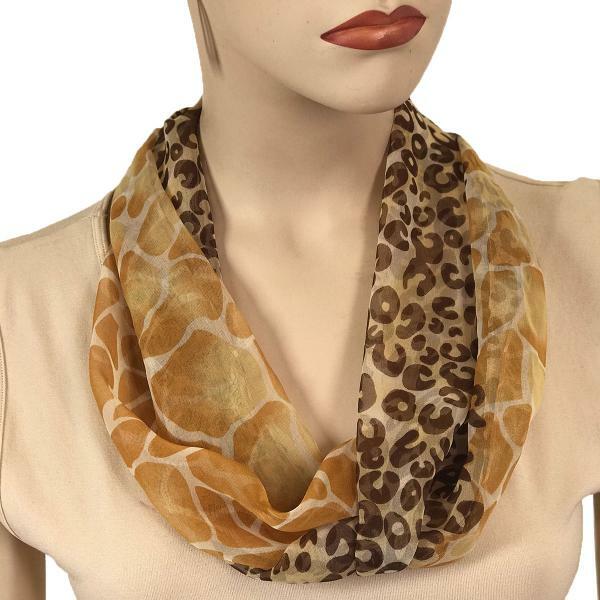 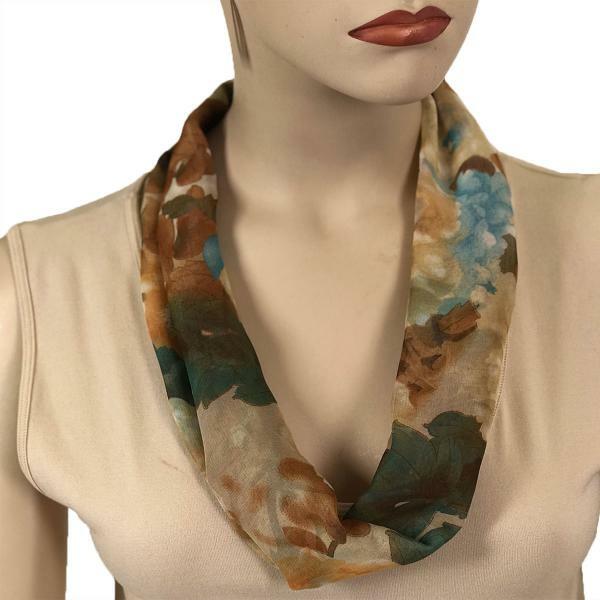 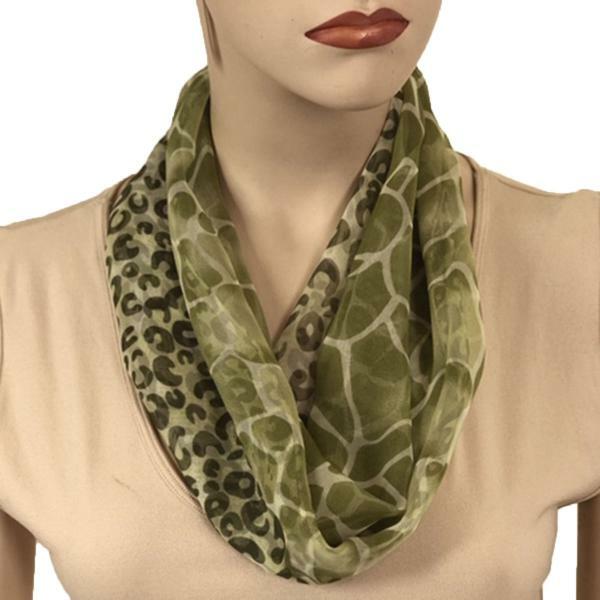 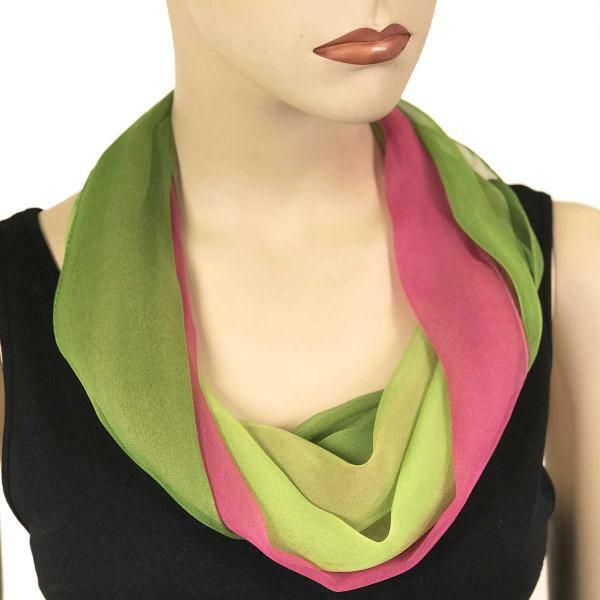 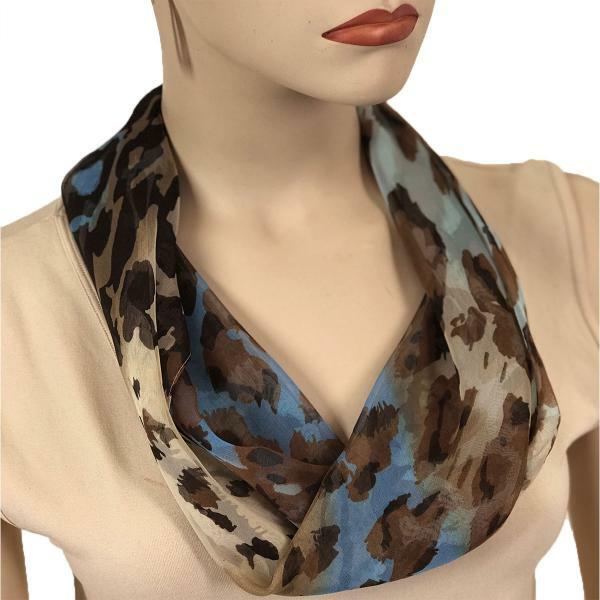 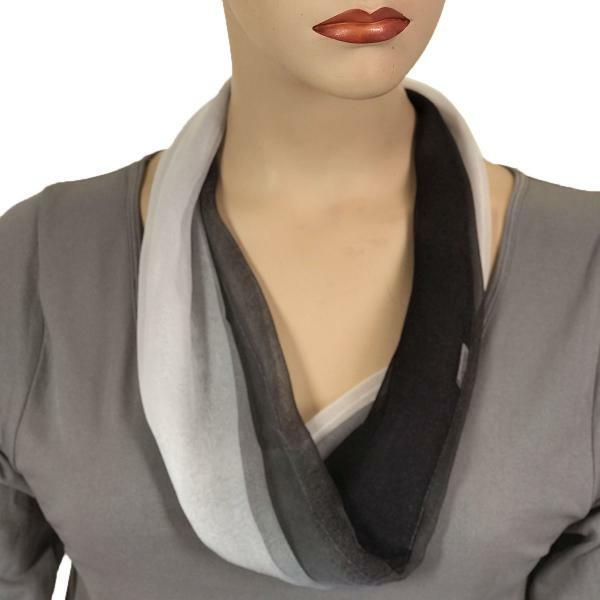 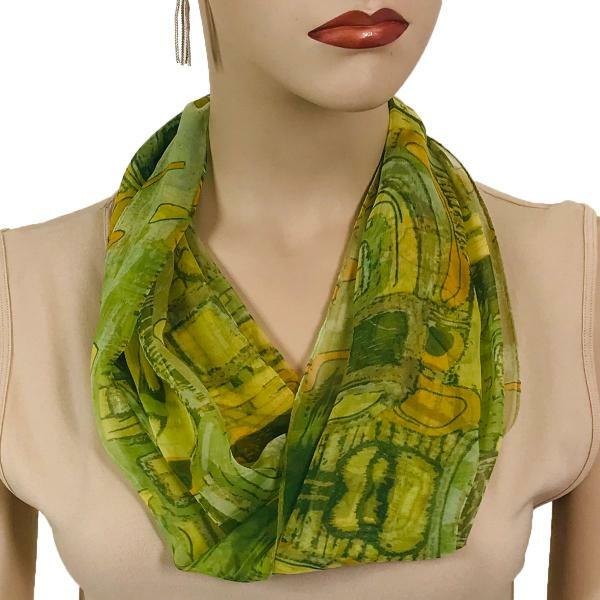 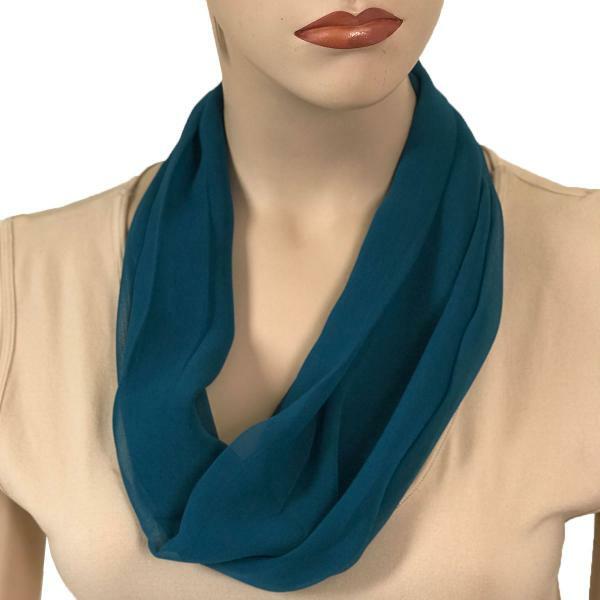 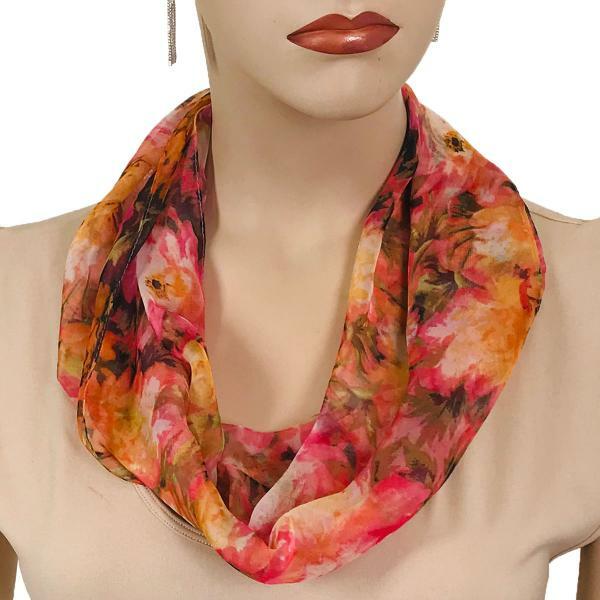 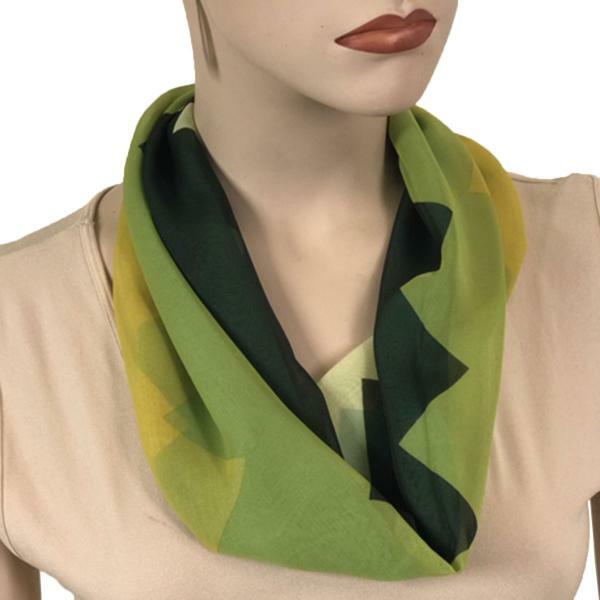 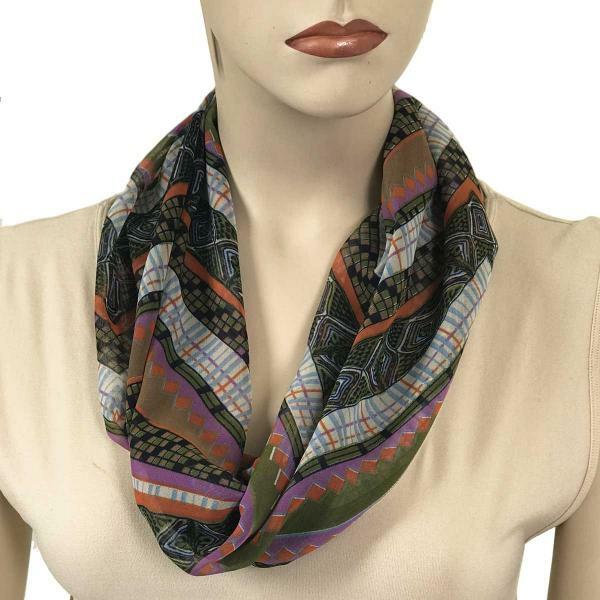 The result is a single loop infinity scarf that allows you to embellish and enhance but never overwhelm your outfit. 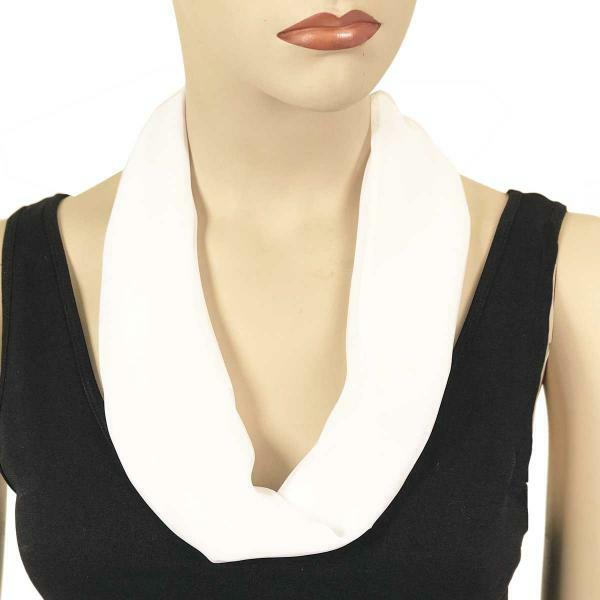 You can be stylish and perfect without fussing and adjusting all day long.